It was a real privilege to be part of this event. I think the video pretty much captures the essence of the day, which was described to me by one of the participants as “joyous”. “Joyous?” I hear you ask, “but isn’t Safeguarding a really serious, and potentially scary, issue?”. Safeguarding is certainly serious, but there is a pressing need to make sure it is more widely understood. And it is commendable that Bradford’s Safeguarding Adults Board is committed to making sure that the most vulnerable people in society not only understand the nature of abuse and what can be done about it, but that they can also contribute to the strategy being implemented across the District to keep residents safe. An important element of the Board’s approach is attract people to participate in setting policies and strategy by ensuring that events like this are fun, and genuinely engaging. So people had a lot of fun at the event, and in amongst the fun, they learnt some really serious stuff; they were provided with tools to deal with abuse in their own lives, they learned about different kinds of abuse, and they contributed to the Safeguarding Adults Board’s strategic plan. And they did all this because they wanted to, not out of a sense of obligation or duty. I found it particularly encouraging that storytelling was central to much of the message of the day, with a powerful video illustrating a particular kind of abuse, and participants being encouraged to use picture stories to explore issues. This was just one day, but it brought together individual service users and organisations that support their participation on a regular basis. Personally I believe that storytelling, and participation in storymaking, has to be deployed on a wider basis to develop understanding of complex issues and ensure that consultation is genuinely informed via deep understanding of the issues. I was proud to be part of the day as part of my mission to raise the profile of social care, of the fantastic work so many social care organisations do, and the difference they make to people’s lives. And a key part of the message, which the Safeguarding Adults Board, and other social care organisations in Bradford are central to, is the emphasis on social care being an empowering service which provides the underpinning for people to live full and fulfilled lives in recognition that people know best what is good for them, and the role of professionals is to support them in achieving their personal goals. In this year when we celebrate the 70th birthday of the NHS, it is vital that we also recognise that the same act gave birth to the modern social care system, and that the two are different sides of the same coin. There is a playlist of videos illustrating what participants said about the day here, and the presentations and games played on the day are below. Last week I went to interview an older man for a project about technology-enabled social care. We chatted for ages. Not much of it was relevant to my commission, but that was fine, I got enough footage for the project, and I was happy to talk. The gentleman had some fascinating stories to tell. One of those stories was about how his adopted son in Australia had bought him an iPad which he uses to “have a long natter” with him, over Skype, twice a week. He has been doing for years, originally using the “Friends and Family” discount option on the telephone, then via Skype on a laptop and now on his iPad. He was explicit that these interactions enhance his life. He also said that the technology-enabled care platform his carers use has made his life better because it means that carers who visit him have to stay for the full-allotted time, and that means they are more likely to chat with him. 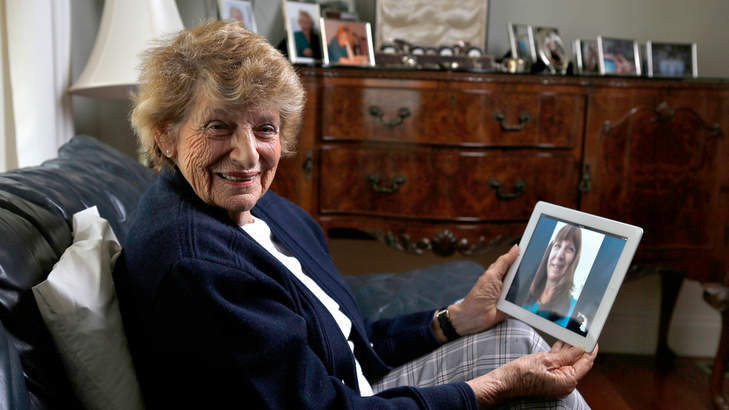 I am becoming more and more convinced that technology-enabled nattering is the way to introduce older people to the benefits of new technologies. Many older people love to chat, but don’t have the opportunity to do so often enough. They love to chat, but they don’t love to type. Video conferencing is the way forward. Yesterday I happened to catch a bit of a Sport Relief TV programme. There were lots of “fun” activities interspersed with sections on what the money Sport Relief raises is spent on. These sections were accompanied by inspirational music and language designed to pull at the heart strings. Then a bit later I watched a YouTube video about the history of one of my favourite rock bands. I enjoyed the video, except for the bit about how they structured their activities to avoid paying tax in the UK. This was presented as a wholly acceptable and desirable thing to do. They were perfectly open about it. For me this strikes at the heart of a key issue in our society. Every day people are doing fantastic, inspirational, and life-saving and enhancing things funded by tax-payers’ money. And yet, our society is happy to be moved and inspired by what Sport Relief, Comic Relief, the National Lottery, and other charitable fund-raisers do, while denigrating public services and resenting the tax monies that go to pay for them. No matter how much you might think you are an entrepreneur who doesn’t rely on the state; every time you use a publicly-funded road, have your bins emptied by the local authority, or rely on the NHS, you are using tax-funded services. This is why I do things like the Civic Story Factory. The people who work in our public services are every bit as essential and inspirational as those funded by charitable telethons. They just don’t shout about it often enough. Here’s an example of people doing some great work in our much derided Social Care sector. Homecare providers in Bradford. This is a piece of work I did a little while ago working with Locorum, a West Yorkshire-based social enterprise which exists to help health and care services adapt to the needs of under-represented groups. Locorum were commissioned by Calderdale Clinical Commissioning Group to undertake a survey of care needs among older Asian people and then to take the results of the survey and interview people about its findings. Comments we received about this confirmed my views about the importance of this kind of storytelling. There were a couple of interesting points that came out in discussion about it. Firstly, the video brought out a number of nuanced views that could not have been gained from a survey. Surveys are OK for capturing statistics, but they don’t get to the “yes, but” views. The issues we were canvassing people’s views on were often complex and the way the interviewees addressed them help very much in shaping responses. Secondly, I believe it is important to capture people saying what might be quite difficult things to say in public. There is a received wisdom that South Asian communities are highly resistant to letting professional carers into their family relationships, and, if we had just relied on the results of the survey, that is probably the message that would have come through. But the interviews revealed that, because of changes in society, that view is changing. Families are struggling to provide the necessary care in some cases, and they are reluctantly coming to accept that outside help is necessary. But it is acceptable only on certain terms, which include the need for cultural sensitivity, and that it needs to accept that the family is the principal means of care and thus professional care is there to fill in the gaps and must step back when asked to do so. I’d love to help as many people as possible to use this kind of storytelling in their work. If I can help you, please get in touch.